These wedding program fans are cute and practical items that your guests will love. They might even keep it and find them very useful by the pool on hot summer days! They say an image is worth a thousand words. 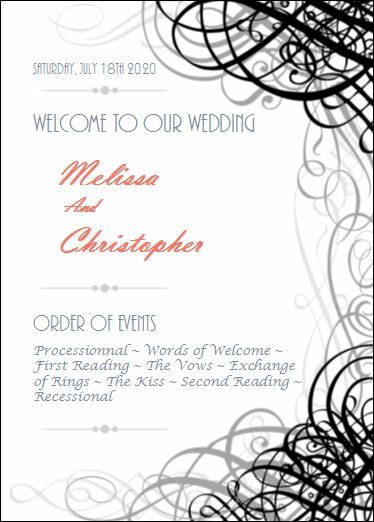 Let’s look at some design ideas with wording describing ceremony’s order of events and more. Some designs are suitable for more detailed ceremony order of events while others focus more on presenting the family and friends that have an active role during the wedding. 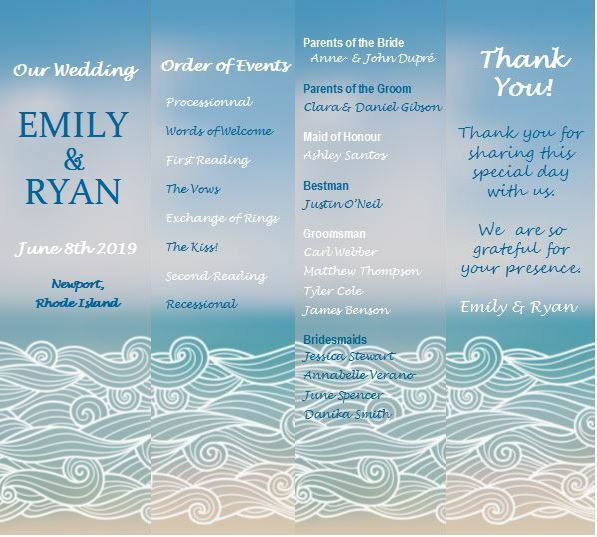 These can be but are not limited to, groom and bride’s parents, bridesmaids, flower girl, best man, etc..
A wedding program fan has two sides which you can customize the way you want. 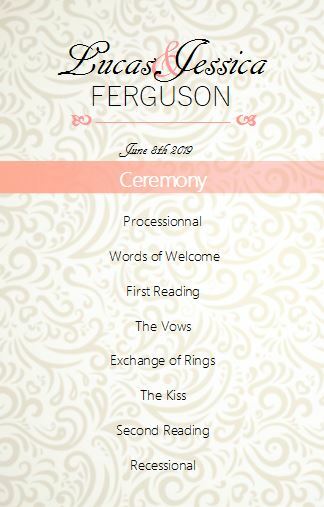 If you choose to have a detailed ceremony order of events choose a design that will allow you to add more information. The following wedding program is a good example. 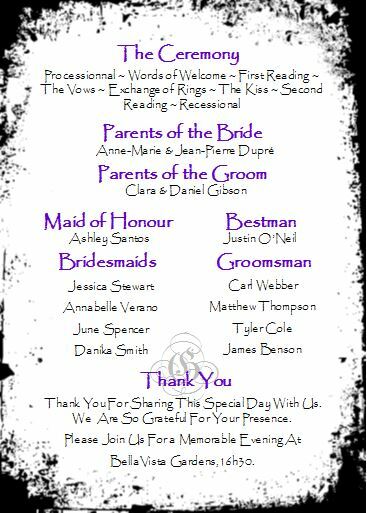 You can easily add more information if needed since most of the space available on one side of the wedding program fan is reserved for it. Choosing a paragraph structure is great to enumerate all activities taking place during the ceremony without taking too much space. 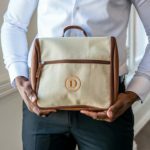 This is ideal if you want to add a special thank you message, a remembrance or if you simply want to put the focus on presenting family and friends. 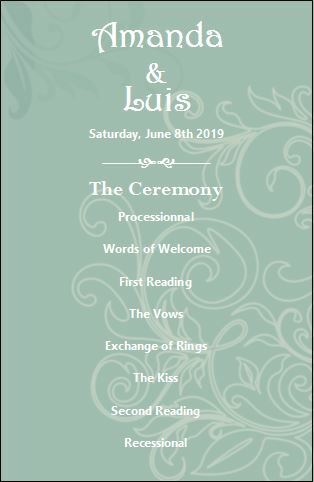 Using a paragraph for the ceremony events is also a good idea if you have a specific design in mind like in the following example. This beautifully adorned front page wedding program model requires some thinking when it comes to presenting the information. Nevertheless, there’s still enough room to add more activities if needed. That’s the magic of infographics! The designs previously showed were structured and polished to become a finished product. However, these can be adapted if you need to add more texts, different sections or pictures. The ceremony wording or order of event is something very personal. Remember, that you should keep your wording the way you want it to be and choose a design that makes it stand out. In general, a good graphic designer can help you achieve the desired look without having to compromise on content. Hope this helped you figure out what design is best for your wording needs. Now let’s look at some more inspiring ideas! “Unique” actually means that they are not based on usual elements we see these days like chalkboard or burlap and lace patterns. Such ideas were lovely and even unusual when they came out a few years ago. Unfortunately, they don’t stand out anymore due to their tremendous popularity. Important: all backgrounds, patterns, and images found in this article are not my work. These are the work of graphic designers who own the copyrights and cannot be sold. I can only use them as examples to provide inspiring ideas for your wedding program. I added the wording to help you visualize how it can look like with your own information. Let’s see some of these ideas. The following rustic theme wedding program variation is a great example of this. The worn out papyrus design shows that there are many ideas yet to be exploited. 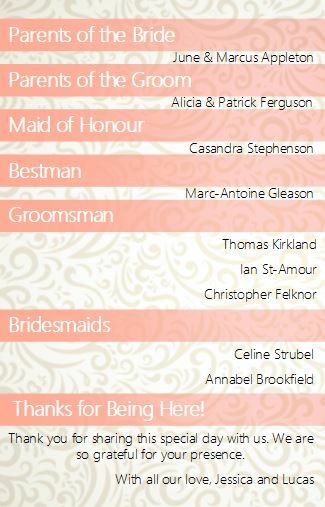 In addition, you can customize your wedding program with a subtle monogram in the background as shown below. Many simple but powerful elements can be used to create rustic theme wedding programs. In fact, the following example features a picture representing the country style. All you need to add to this free template design is your own country style picture. Also, if you’re the kind of person that loves taking scenery pictures (like me) and never get an occasion to show them off, this design gives you this opportunity. This specific design is a great DIY project as it only requires a landscape format picture that symbolizes a natural scenery or other visual elements that have a rustic feel. This theme mixes both vintage and fantastic or fairytale-like concepts. In fact, this simple ornated key looks extraordinary with the wedding date and time of the ceremony in the following design. I like unique wedding programs designs that are simple and elegant. This wedding program goes straight to the point and is easy to follow. The oversized titles are highlighted with the theme color. You can also choose a personalized your font size and style. 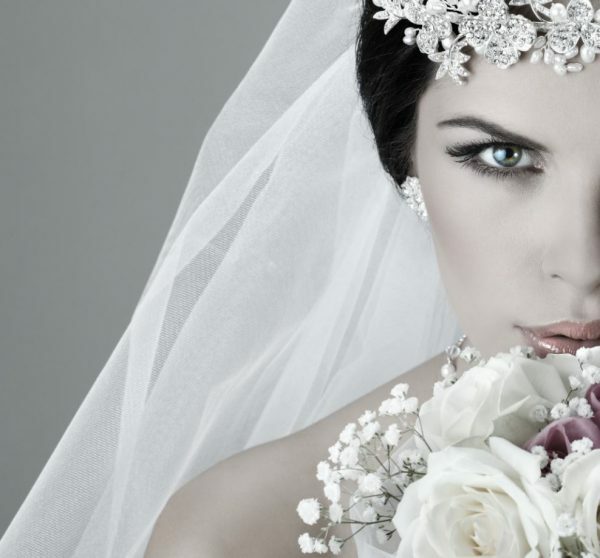 This one is an interesting alternative to the redundant rustic wedding programs appearing everywhere on the web. Also, this style is perfect for beach wedding themes with its blue and sand colors. 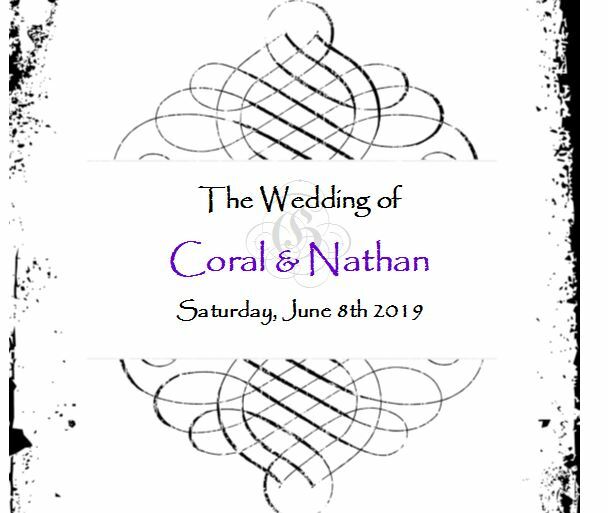 The mandala pattern adds a lot of refinement and sophistication to your wedding program. 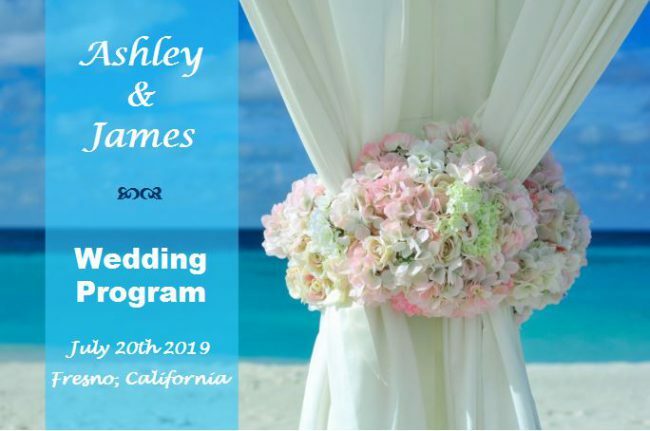 The following sample of wedding programs examples will give you ideas on how to present the basic information (wording) through different designs and color schemes. Whether you like a minimalistic design, saturated colors or contrasting tones you will find many ideas in the following examples. This black and white design is an interesting combination of shabby chic and minimalist styles. It puts the emphasis on the wording by using the design elements to frame the text. Have you noticed the small monogram detail? This is an interesting customization that you can request to have in your wedding program. Also, you can have your wedding theme accent color added to it or to the text. This wedding program fan design is a simple and effective way to inform your guest and help them stay cool during a hot summer wedding day. It’s also a super easy DIY project that you can customize by using a personal picture of the future Mr and Mrs or any other wedding theme related image you’d like to use. Click here to find the detailed steps, a list of material and tools you’ll need. 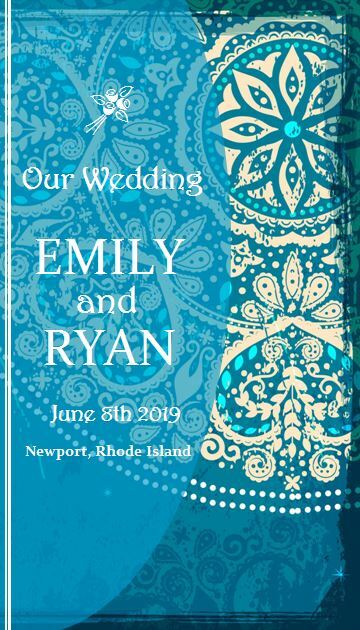 This Morrocan mosaic style wedding program is color saturated and required a bit of thinking to make it easy to read due to the large detailed mosaic in the background and the narrow paper format. However, this format is cost effective compared to a leaflet format. In fact, you can print it on a double-sided 5 1/2 x 8 1/2 thick paper with the paper finish that you like. I think it’s a perfect pattern for a bohemian style wedding. It also would look gorgeous as a beach theme wedding program. A bright floral wedding program. 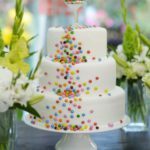 I love the idea of this program for a spring wedding. The cover page is almost entirely used for the order of events. There is enough room to add more details like the name of the aisle song, the name of those who performed the readings, etc. 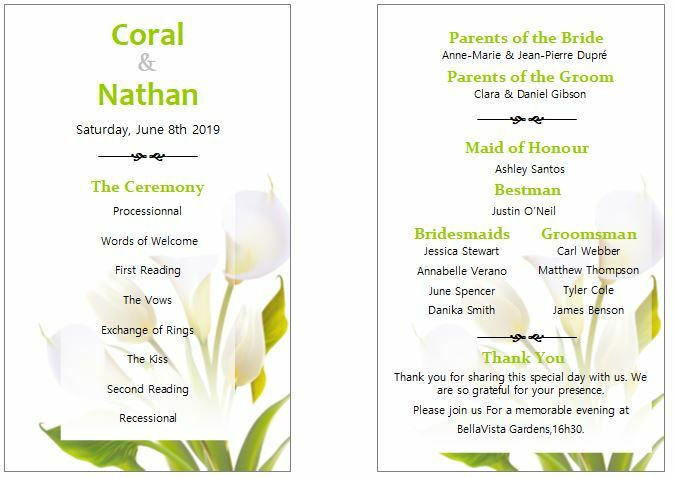 This leaflet wedding program format is a good option if you need lots of space for all kinds of information for your guests. It could be pictures, dedicated word of thanks to special people in your lives, a wedding game to play at the table… you name it. This sample of wedding programs examples wouldn’t be complete without a fall theme wedding program suggestion. Why? Simply because I love the idea of an outdoor autumn wedding with the wide range of leaves colors it implies. Pay attention to how the text sections are presented. The “Thank You” message is at the beginning instead of being at the end. It’s a great way to show your guests that their presence is most important. Another distinctive aspect of this program is the detailed schedule. 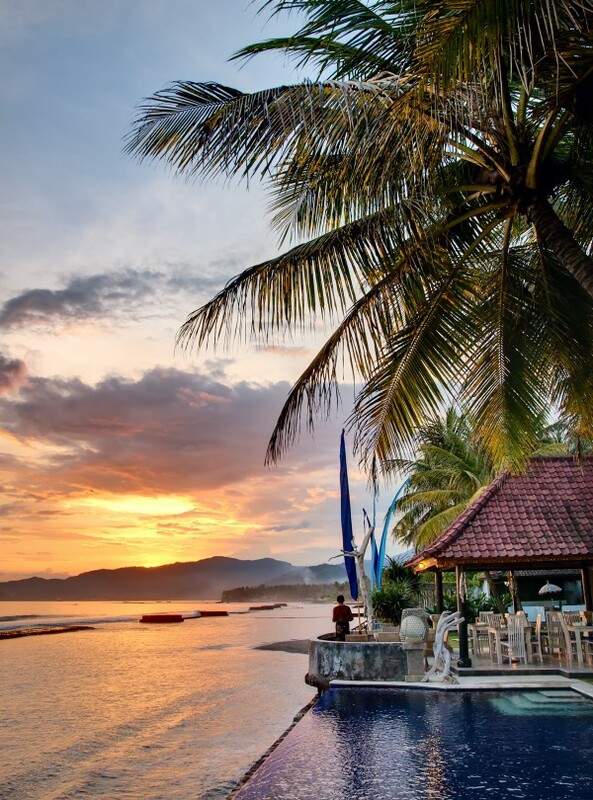 This is especially useful, when the wedding ceremony, pictures with the family, dinner or celebration is not held in one single venue like in a large hotel resort. Therefore the guests need to know where they must go and at what time. 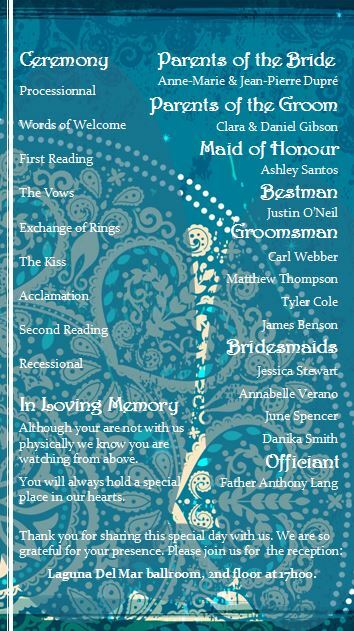 This is an interesting double-sided wedding program that allows you to put a personal quote based on your inspiration. The quote “On this day our journey begins” can also be left as is since it summarizes well the idea of becoming husband and wife. A beautiful adventure worth being celebrated. 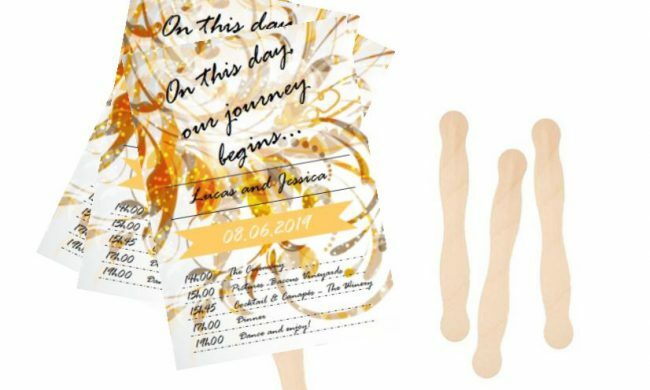 If you’re looking for ways to save money and time on your wedding without compromising on quality have a look at this article to know about the best places to buy wedding invitations online. 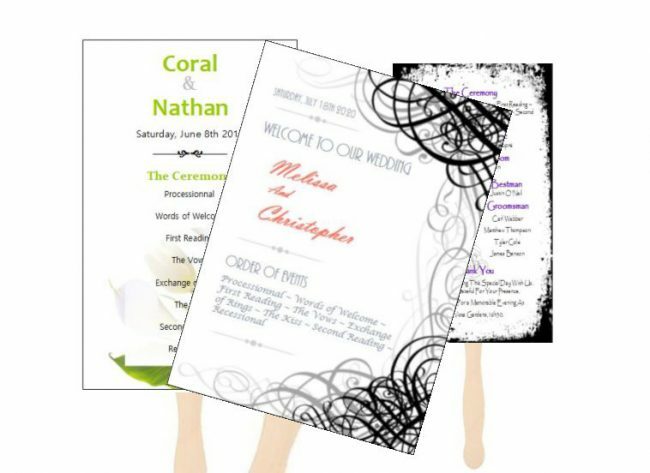 Many people don’t know it but there are plenty of professional free printable wedding invitation templates out there. I’ve added the links to a few templates I find amazing right after this “short” introduction! I think having a professional design is important to create the ambiance you want for your wedding celebration. 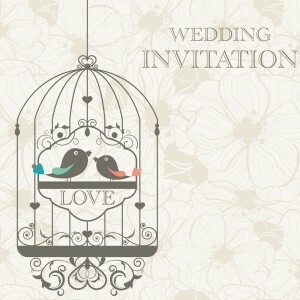 The first step in this direction is making the invitation cards that will be sent to all your guests. The looks of it set the tone and give your guests an idea of what they can expect on the wedding day. 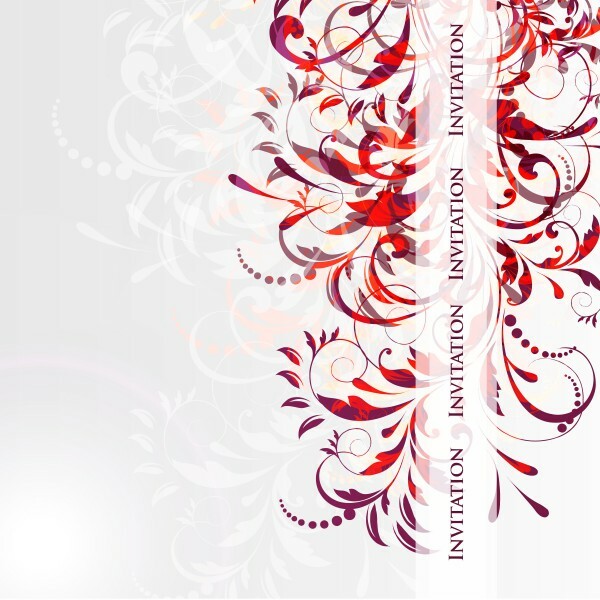 Once you chose your invitations design, a good way to save time and money is to keep the same graphic pattern for all other communications. It can be postcard responses, save-the-date, wedding day program and your website background and color schemes. You can also include the theme design in any other aspect of decorating you can think of like the guest book, seating plan, place markers, guest favors, menu, etc. Here is only a fraction of the designs and themes you can get for free. Note: I am not entitled to provide any actual images of what they look like for real as they are not my legal property. Graphic designer’s work is expensive. Unless you want something extremely particular chances are you will pay too much for it. I’ve requested many quotes and received answers with 200$ difference between them! The lesson to be drawn is to ask for 4 or more quotes, from different designers. Now, if you want to skip all this hassle you may consider using free templates. 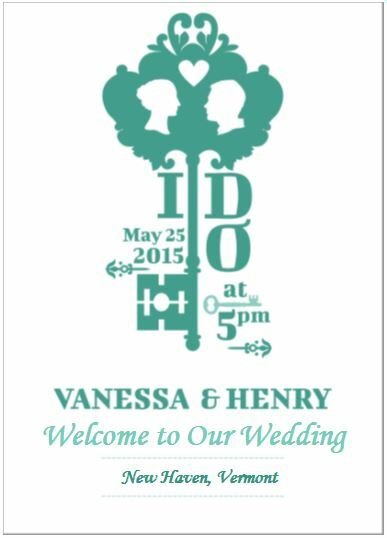 I found these wedding invitation templates while I was looking for interesting design ideas for a DIY project. I was surprised to see that many websites are giving them for free and that they are very professional looking. So… Why Is It Free? Nobody works for free for the simple reason that we all need to pay our bills. We all know and agree with that. Here’s how it works. 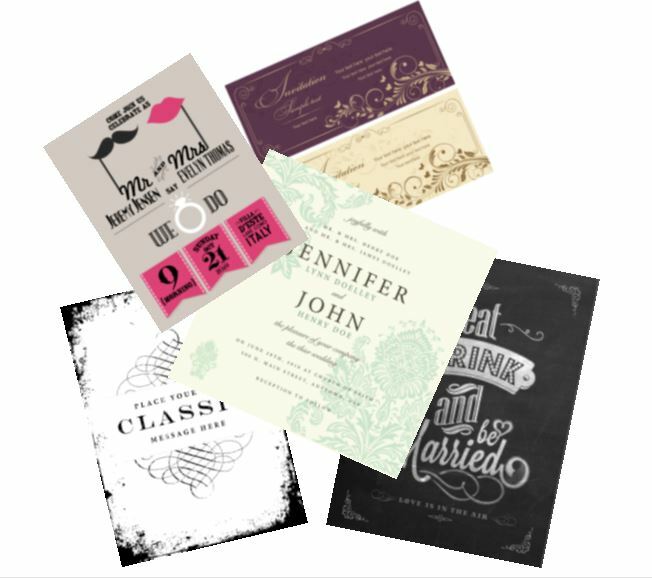 These websites provide professional free printable wedding invitation templates (and more) to highlight the quality of their work. You can certainly use the template “as is” since it’s the same quality that you would get if you paid a graphic designer to do it. Do you need a customization or want something made specifically for you? The designers can make it against remuneration. For example, you can request to have a different size, color or to add a space where you can insert a photograph, add a specific image or background to match you wedding theme, etc. You can also request other projects like the wedding dinner course menu made with the same theme. 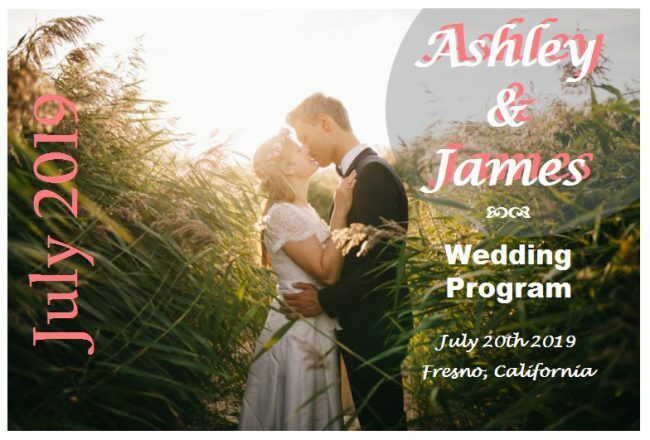 You can print a sample of the free template to see how it looks after you edited the information with both of your names, wedding date and where the wedding will be celebrated. If you intend to have it customized, you can expect the same quality that you have with the free templates. It’s an enviable advantage compared to choosing a theme based on a portfolio where you cannot see the final result until you commit to paying for the work yet to be done. 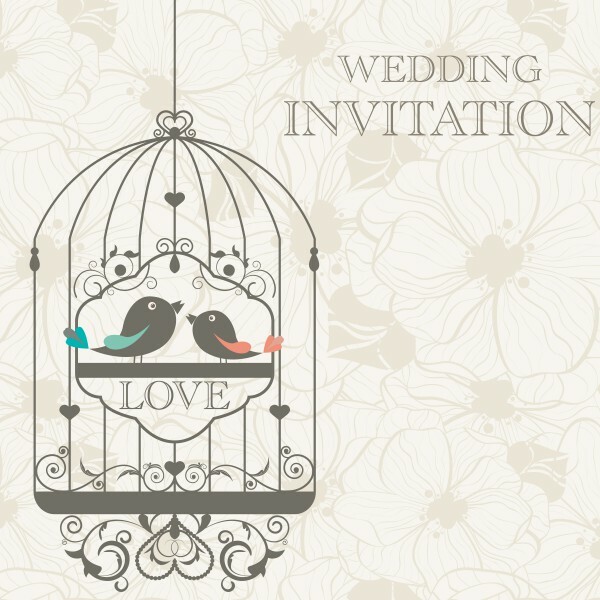 Get your free printable wedding invitation templates online, edit in about 2 minutes! Fonts names used are also provided in the section “About this template” with the links to download them. They are free as well! Hope you found what you were looking for and that this article was helpful. If not, you can leave a comment with your question and I will gladly answer you. Just leave your requests, questions or comments in the section below and I will get back to you promptly.